Derek Jeter became the newest member of the 3,000 club on Saturday! Move over Bernie Mac because we’ve officially witnessed the newest member of the 3,000 club, Derek Jeter. 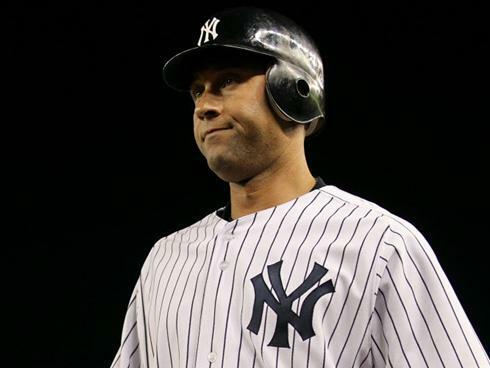 Jeter connected on his 3,000th hit on Saturday afternoon in the Bronx against Tampa Bay Rays pitcher David Price. Yet, this particular “hit” was certainly special, since it didn’t land in the outfield or infield grass, but instead, the bleachers. Fans pushed and shoved one another to get their paws on a piece of history, while the Yankees players and coaches rushed the field to meet their captain at the plate with high-fives, hugs and smiles. As a casual baseball fan, I was overjoyed to see Jeter become the newest member of the 3,000 club. He joins guys like Roberto Clemente, Wade Boggs, Ricky Henderson andCal Ripken Jr., just to name a few. Yet, what exactly does this accomplishment mean, especially in the wacky world of the MLB? Hey, this is Derek Jeter we’re talking about, the true poster boy for the New York Yankees, so of course, it’s special and important, right? Although, does this particular at-bat remind anyone of Mark McGwire’s 70th home run? Could Jeter’s 3,000th hit have any parallels to Barry Bonds‘s 756th home run? In all honesty, there’s so many moments that one could compare this particular event too, but seriously, I’m very happy to see that Jeter earned this glorious moment because he definitely deserved it. In fact, it’s refreshing news, especially after spending the past week reading about Roger Clemens’s trial.